Seikaku was first founded in 1971 in Taiwan, specializing in P.A. system equipments and electronics. 1. The development of 8-channel matrix digital audio processor MATRIX series. 2. The 4-channel digital amplifier 500.4 fit 1U standard rack size with DSP technology. 3. Mini array of micro-line array speaker Q-3. 4. The digital conference system developed. 5. The Ultimo digital transmission technology achieved. 1. The active line array speaker (APX) with DSP technology . 2. The digital mixer (T-20 / 20.4 LIVE) with touch screen and motor fader. 3. The Dante 32-channel digital audio transmission technology module was developed and applied to digital mixing console. High-tech digital modules completed,such as stereo bluetooth player module, digital audio processor module ,and CabraNet Digital snake System. 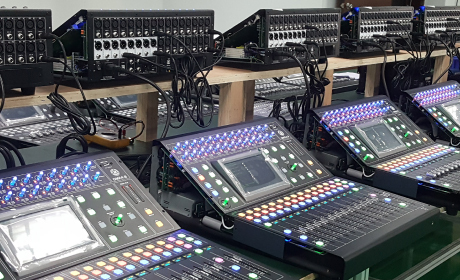 First digital mixer with easy to use operation interface meets the market; CabraNet Digital Audio Transmission System successfully designed and developed internally, and used widely in SEIKAKU’s active speaker cabinets and digital audio processors. Word’s first 2.4G/RFID Digital Wireless Tour Guide System was designed and full development compleion. developed and is broadly used in active speaker cabinets and amplifier products. Completion of internal design and development of digital effect module, and is broadly used in all mixer products. 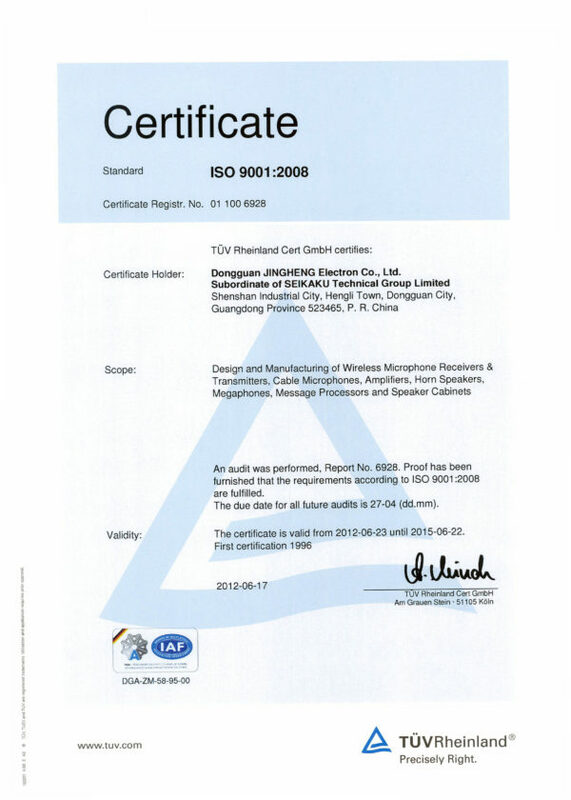 In 2009, 5.8G Wireless designing project was launched. 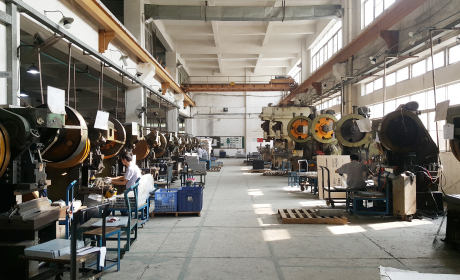 In 2007, Group Technical Center was established, high level RD staffs were employed for specializing in technical tooling innovation, for RD department to use on company products. 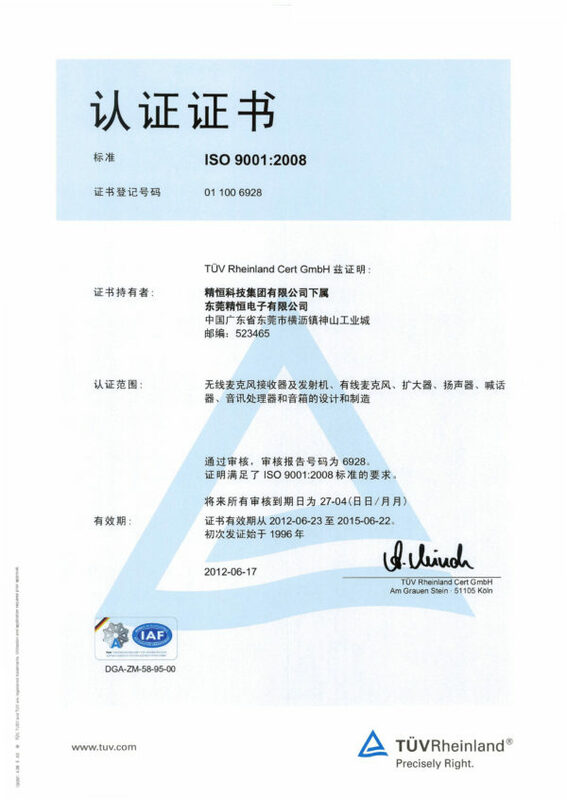 In 2006, IPC production standard was introduced into the factory, to raise the level of production crafting. 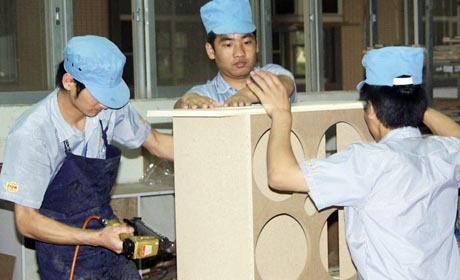 In 2004, 1st stage construction was completed for Shi-chen Factory, wooden case speaker production was launched. In 2002, Software design engineering was launched. In 2001, RD Department was expanded for professional design team, including PA, Audio, SP etc. 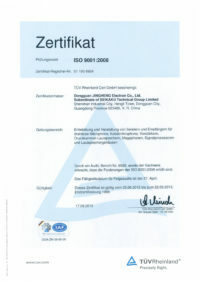 In September 2000, Jing-Hen Factory Laboratory passed ISO GUIDE25 Certificate from Rheinland, Germany. 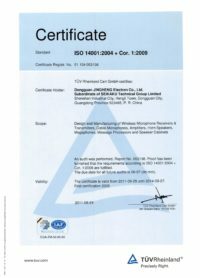 In 2000, Sound room passed ISO3745 Certificate from Rheinland, Germany. 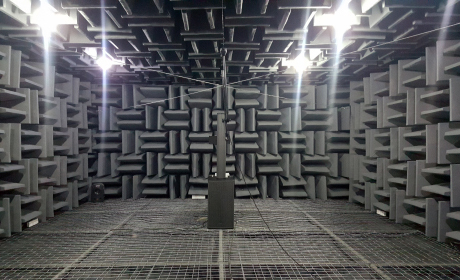 In 1999, Jing-Hen Factory established RD(Research and Development) Department, Sound room, and Computerized Speaker Testing Facilities etc, utilized B&K facilities, and incorporated AP semi-automatic testing facilities. 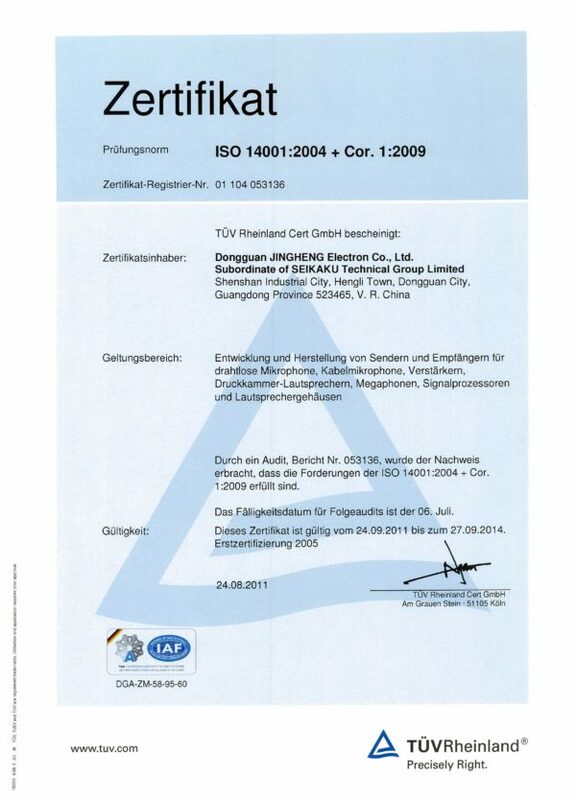 In September 1999, Seikaku passed ISO9001 Certificate from Rheinland, Germany. In September 1992, obtained ISO9002 Certificate from Rheinland, Germany. In 1996, SEIKAKU competed for world-wide known brand OEM, ODM cooperation. In-November 1992, another 3 morgens of land was purchased, and used for 5,000m² dormitory land and sports-use facilities. 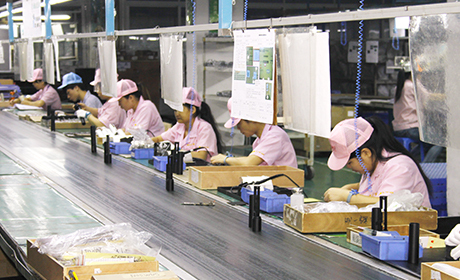 In October 1991, Jing-Hen Factory thrives in business, purchased 3 morgens of land, divided into 16,000m² of factories, 5,000m² of dormitory, and 2,000m² of management buildings. China factory and Hong Kong office were set up. In Auguest 1990, Hong Kong branch and office was established. 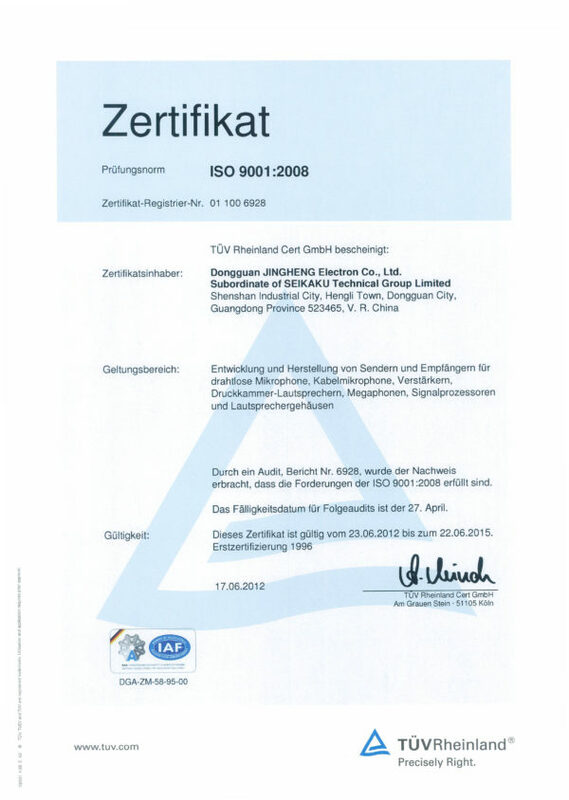 In October 1990, China Jing-Hen Factory exported their first shipment. 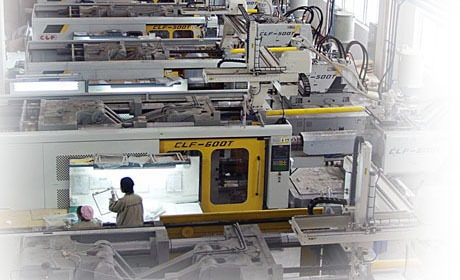 SEIKAKU Electronics Limited Corporation was founded in Taichung City, Taiwan in 1985. SEIKAKU Electronics was originally founded in 1971 by Mr. Kuin-shan (Current Group Chairman). 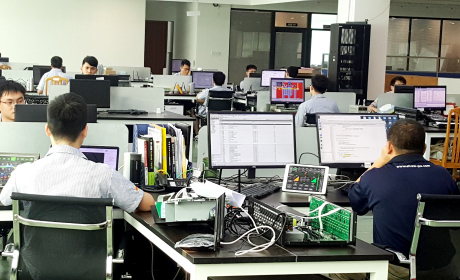 Due to founder management transformed into profession, SEIKAKU Electronics was refounded, and has been managing in the electronics field for almost 40 years. 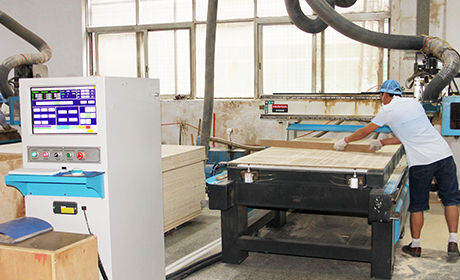 service, the laboratory had made vast improvement after 10 years of quality control operation. 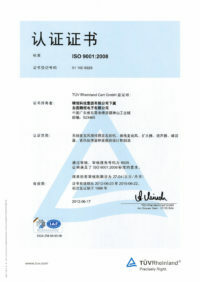 In 1999, SEIKAKU applied for ISO/IEC guide 25 (1990) quality certificate, and was granted approval from TUV Rheinland Group, China, in September 2000. 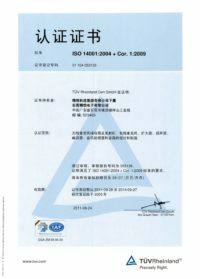 Following the ISO/IEC guide 25 grant of certificate, Seikaku renewed ISO/IEC 17025(1999) which was granted in September 2005. All quality control guidelines are followed by all engineers and technicians with extreme caution, as all testing procedures need to be accurate. In order to provide complete and accurate testing standards that are recognized internationally. Put materials in the machine for over 16 hours without rush-eaten (For some iron-made materials, such as grilles, screws, panels or bail for microphones). The speed for metal ring pressure:12.7 ±0.3 mm/min. Rivet joint above 60 kgf. and copper soldering joint above 350kgf. (For metal rings). Put finished products in this machine. Keep the products at the temperature 60 degrees (℃), Humidity 60% for 4 hours. And then temperature -20 degreen (℃) for 4 hours. The finished products are tested under connecting to power supply and input signals. Keeping input 1KHz signal, at 80% rated output. 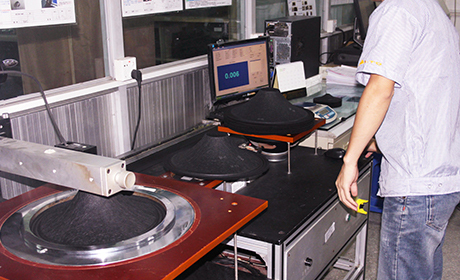 Keep products on the machine and test on amplitude of vibration: 1.5mm or amplitude of vibration frequency of test at high speed:1570 ±10rpm (motor rotation speed) or at low speed 840 ±10rpm or depending on customer’s request. Drop the finished products with package. Bass speaker: dropping height 1.10 meter, inclination 25±2. 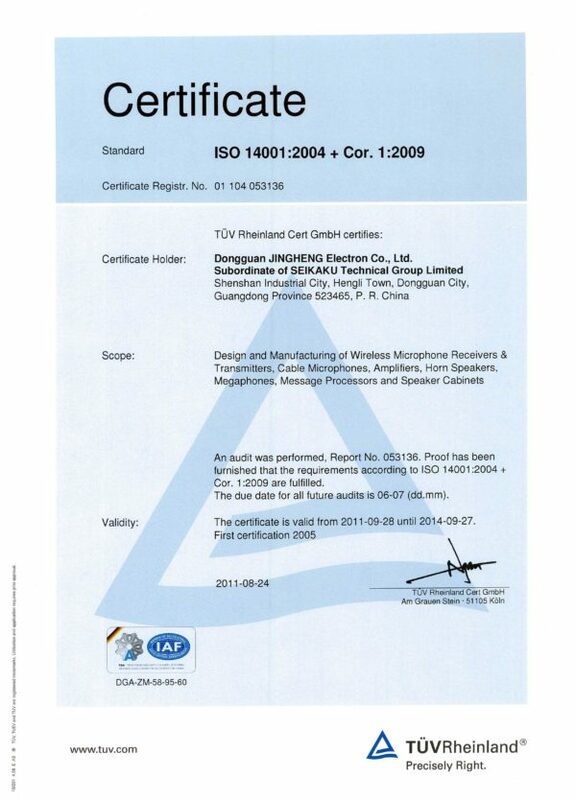 SHOW, one of SEIKAKU’s brands, particularly specializes in Public address system field. It covers from entry to professional level products with user-friendly designs., SHOW brand presents processors, PA speakers, Megaphones, Amplifiers, Wireless systems and product designs for OEM/ODM business co-operation. With more than 20 years experience accumulation, SHOW can introduce the most qualified products for you. SHOW megaphones deliver clean and effective voice amplification, especially for outdoor activities such as elections, sports events and public occasions. As one of top megaphone manufactures in the world, SEIKAKU is pleased to present the novelty megaphone series incorporationg new modular designs such as bluetooth and MP3 modules. SHOW audio processors are of fantastic excellence in presenting refined sound and high compatibility. The line is not only suitable for beginners but is also excellent choices for musicians, with extreme user-friendly designs in equalizers, compressors, expanders, crossovers, mixers and splitters, We are proud to present our complete solutions in audio processor line, and the enjoyment that accompanies. SHOW P.A. speakers offer a wide range of speaker types that fulfills all installation sound systems. THe full range covers from indoor installations with ceilling speakers and wall-mounting speakers, to outdoor industrial horn speakers, even live stage speakers that are suitable for both indoor and outdoor peformances! You can be guaranteed that SHOW P.A. speakers can fulfill all of your broadcast requirements in very affordable options. Seikaku will always grow with the world to ensure our products offer powerful performances at all times. SHOW conference system is designed to maximize conference process convenience without any complicated installation or monitor procedures. Both delegate and chairman units are equipped with individual built-in speakers and earphone output sockets for convenient monitoring of meeting process. The chairman unit is futher equipped with two sets of recording output terminals to conserve complete meeting proceedings. Both chairman and delegate units are designed with power saving functions where the units are turned off automativally affer a period of stand-by. SHOW conference system is not only or fhigh convenience in installation and monitoring procedures, but is also simple in operation, most inportantly the value that the power saving design adds to the system, is unmeasurable. SHOW P.A. amplifiers offer extremely cost-effective products with high quality performance that exceeds actual cost value, P.A. Amplifier range covers from small power modules for simple or mobile / small regional broadcast, to high power amplification models with mixing, zone paging, and optional BGM module applications for more complex and dynamic amplification. SHOW most advanced amplifier incorporates new amplification design without output transformer, that makes this new series light weight but still maintaining its excellent performance. Strong engineering team : that can support our OEM, ODM, JDM customer projects. Mechanical engineering team: that can support mechanical drawing, modification to design your unique tooling etc. Software design : application, more explanation and which products used on. We also have laboratory set up at the engineering department. 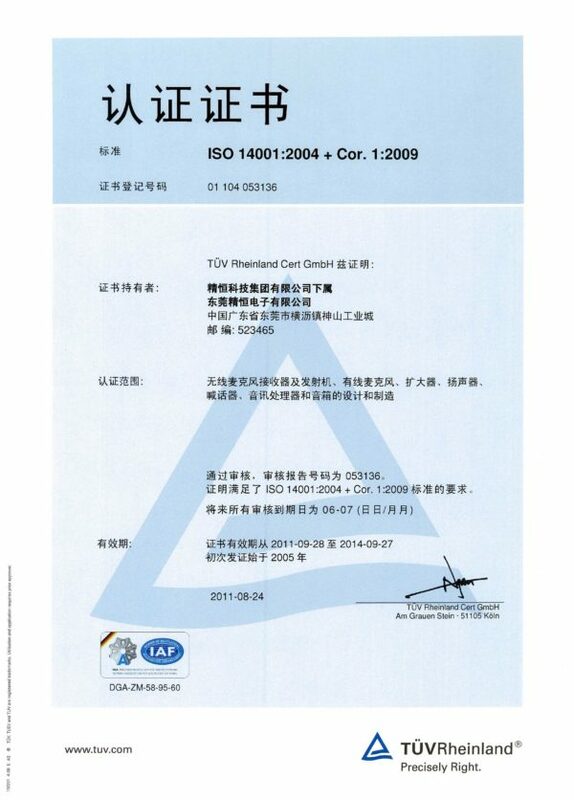 We are able to perform LVD testing,and the test results are reliable for TUV LVD certificate. We also have EMC pretesting equipments, such as for radiation testing, and harmony/flicker testing. SF1: production capacity (Approx. 26000 ch/month). Production line for VHF/UHF separate. Executive people: 1 chief and 2 deputy leaders. SF2: Amplifier/processor/mixer: burning testing 2H-4H. Executive people: 1 chief and 3 deputy leaders. 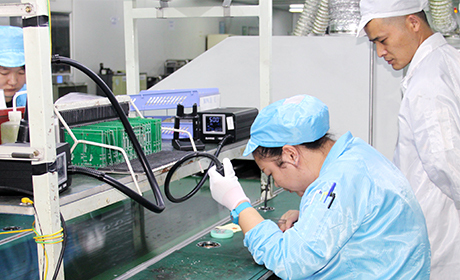 SF3: SMT support most of our PCB production for our line, especially OEM/ODM customer products, and wireless product PCB. We also have DIP testing PCB board by scanning to ensure the SMT was complete without missing any inserts. & 4 sets SMT assembly line. SMT –PCB assembly line Executive people:1 chief and 2 deputy leaders. SF5: megaphone, ceiling speaker, p.a. speaker. We are able to produce around 600 megaphones each day, 800 of ceiling speakers and 600 pcs of indoor P.A. speakers. SF7: All of wooden cabinets are made in-house, range from all sizes, from 2.5” up to as big as double 18” cabinets for subwoofer. Executive people: 1 chief and 1 deputy leaders. Executive people: 1 deputy leaders. 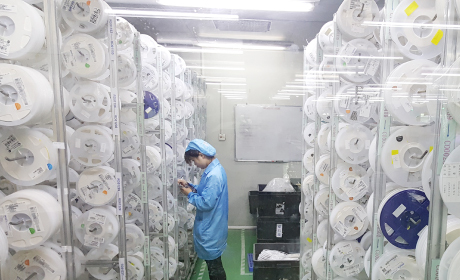 We have plastic injection tooling that injects speaker cabinet,1380kg for large 15” cabinet; we also have parts injected at this plant such as mixer knobs – single color, dual color, microphone handheld tubes, such small parts.